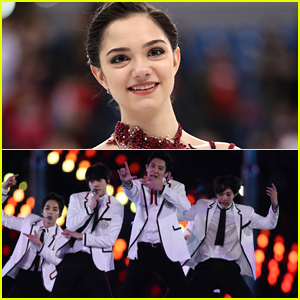 2018 Winter Olympics Photos, News, and Videos | Just Jared Jr.
Evgenia Medvedeva had her dreams come true over the weekend and met EXO! The 18-year-old Russian figure skater, who won two silver medals, was able to meet the eight-piece K-pop band ahead of the closing ceremonies, where they performed. “Dreams come true,” Evgenia captioned on her Instagram, with several heart emojis. Later on, she showed off the album she received from the band, which they all signed. During the closing performance, EXO performed a collection of their most famous songs, including “Power” and “Growl”. Just the night before, Evgenia was seen performing at the figure skating gala. Check out Evgenia’s pics below! Gus Kenworthy is finishing up another Winter Olympics by saving dogs in need. 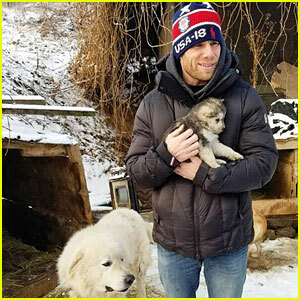 The Team USA Olympic skier shared his latest experience with fans on Instagram on Friday (February 23) during the 2018 Winter Olympics, explaining that he and his boyfriend Matthew Wilkas adopted a puppy named Beemo from one of South Korea’s numerous dog meat farms. Beemo was one of 90 dogs living in cold, cramped outdoor cages and neglectful, cruel conditions. Good news: Gus shared that the farm they visited is being shut down, and all of the pups are being flown to the U.S. and Canada, where they will be put up for adoption with the help of Humane Society International. Gus also rescued five stray dogs at the 2014 Winter Olympics in Sochi, Russia. The winner of the ladies’ figure skating competition at the 2018 Pyeongchang Winter Olympics is Russia’s Alina Zagitova! The 15-year-old figure skater was crowned after the free skate, where she earned a grand total of 239.57 points (a combination of her free and short programs). The stand out of the free skate though, has to be South Korea’s DaBin Choi! If you missed her performance, go and watch it. It was phenomenal. Team USA’s Mirai Nagasu, Karen Chen and Bradie Tennell finished in 9th, 10th and 11th places. 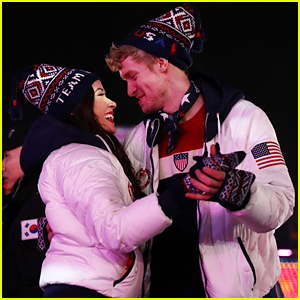 Just ahead of the free skate at the 2018 PyeongChang Winter Olympics tonight, Mirai Nagasu is opening up about her boyfriend, Darian Weiss. Darian, an actor, has appeared on episodes of Mad Men and Good Luck Charlie. “He handles my insanity very well,” Mirai adds about why they’re the perfect fit for one another. 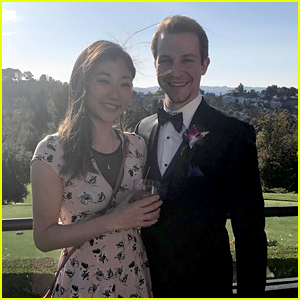 Check out all the cute pics of Mirai and Darian below! Mirai Nagasu isn’t only inspiring the entire USA right now at the 2018 Pyeongchang Winter Olympics — she’s also inspiring her teammates Karen Chen and Bradie Tennell. Just before the short program competition, Mirai, Karen and Bradie all sat down for a press conference where the younger two opened up about how Mirai has inspired them on, and off the ice — especially with that triple axel. But the triple axel isn’t just what Karen and Bradie like about Mirai. 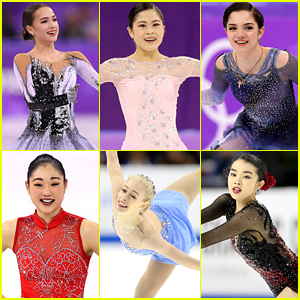 The ladies’ free skate will take place Thursday, February 22nd on NBC.